Vector Diagnostics is pleased to offer a unique 24-hour blood pressure monitoring service. At our clinic, all blood pressure results are read and confirmed by a Hypertension Canada certified cardiologist. This removes the guesswork for your GP from receiving preliminary or raw data reports. All our monitors are rated GOLD standard by Hypertension Canada. The blood pressure monitor records your blood pressure at pre-set intervals for 24 hours, helping your doctor properly diagnose hypertension and determine your medication needs. Your high blood pressure readings in the clinic are much higher than they usually are when you are away from the clinic (this is called the “white coat effect”). The 24 hour monitor takes your blood pressure throughout the day while you are not thinking about it, thus producing a more reliable reading. Your doctor may want to use the blood pressure monitor to assess your current medications or decide if medicating is necessary. They may also like to know if your blood pressure remains high while you are sleeping. A 24-hour blood pressure monitor functions the same as a normal blood pressure check: a digital machine takes your blood pressure by inflating a cuff around your upper arm and then slowly releasing the pressure. The machine is small enough to be worn around your neck and under you clothes while the cuff stays on your upper arm for the full 24 hours. 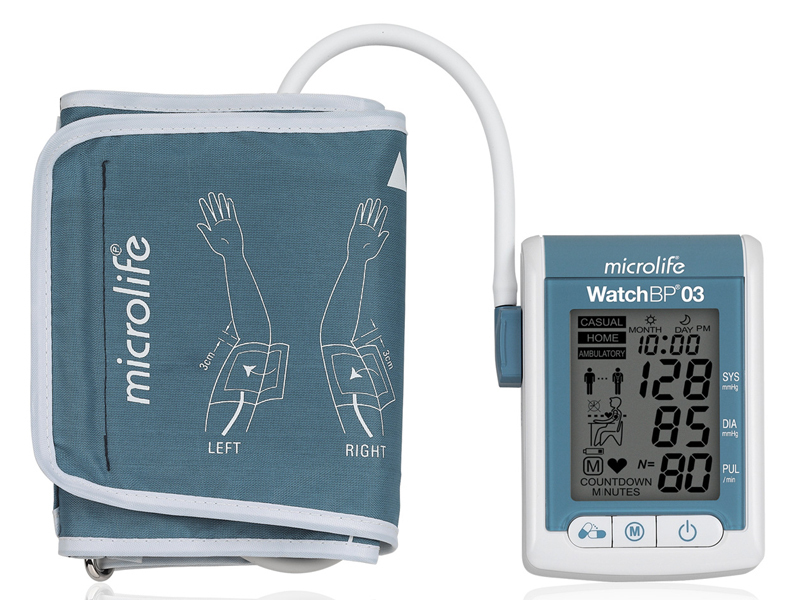 This compact machine takes blood pressure readings at regular intervals throughout the daytime and inflates less frequently and at a lower pressure throughout the night. Because the test is being carried out to reveal the patterns of your normal daily blood pressure, it is important to carry on with your normal routine and do all the things you would normally do during the course of the day. The only things you should avoid doing for the day are swimming, bathing and showering. A doctor’s requisition is NOT required for your blood pressure monitor as this is not an MSP billable service. For more information, call us at (250) 826-9ECG (9324).